Susan Baker, Vice President and member of the Shareholder Advocacy team at Trillium Asset Management, has a unique approach and strategy to increasing diversity. As a member of Trillium, an independent investment advisor focused exclusively on sustainable and responsible investing managing over $2.2 billion in assets for clients including high net worth individuals, foundations, endowments, religious institutions, and other non-profits, Baker knows that shareholder advocacy can have a real impact. Baker’s work has been predominantly focused on increasing diversity at the board level; however, in-house counsel can also use some of her lessons to work on increasing diversity throughout their companies as well. Diversity improves performance. “We have yet to see a study that says board gender diversity is bad for business. Quite the opposite is true. Boards with diverse talents and perspectives inclusive of gender and race enhance the culture of innovation and critical thinking in the boardroom. Measures of financial health and stock performance can improve. The real challenge is understanding and overcoming barriers to establishing more diverse boards,” says Baker. Indeed, this is true for company-wide diversity as well. Summarize any barriers to progress and plans to address them (e.g. relationship to tenure, retirement). In-house counsel can also use the same questions to increase diversity at all levels of the company. Committing publicly. As we all know, few things help achieve goals more than telling everyone about them. Similarly, once your board has clear answers for the questions above, make those answers public in governance documents and/or the annual proxy. Corporate governance fuels diversity. Another way to increase board diversity is through corporate governance. Of fifteen companies Trillium engaged through dialogue and/or filing shareholder proposals over the past couple of years, all have revised corporate governance documents by adding clear commitments to gender, race and ethnicity in the criteria they look to in building a board, and nine companies including eBay, Wabtec, Stifel Financial, Palo Alto Networks, Superior Energy, Hartford Financial, Lowe’s, Apple, Discovery Communications and Cree have appointed one or more women to serve on the company’s board of director. Baker believes having appropriate corporate governance policies in place yields these kinds of results. Developing good policies. 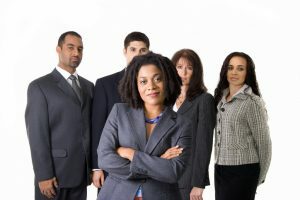 Baker recommends “Articulating a commitment to diversity, going beyond the optics by then describing a strategy to seek diverse board candidates inclusive of gender and race, and holding board members accountable to its stated guidelines are all important steps.” If a company’s policies lack a commitment to diversity inclusive of gender and race in its board composition criteria and its skills matrix, then no meaningful accountability mechanism exists. Working around the status quo. One of the biggest challenges in changing board makeup is the low turnover rate. According to a recent GAO report, since 1998 annual turnover of board seats in the S&P 1500 was, on average, 4% – which means balanced boards won’t exist for decades. According to Baker, “we can talk to companies about these reports, but except amongst diversity leaders, there is a lack of conviction around what to do about it.” What should companies do? Expand the criteria for board directors, look for women in senior leadership positions, and untapped talent pools – for example, recruiting from academia or looking at risk management officers. Using outside resources. In addition to working towards change internally, organizations such as the Thirty Percent Coalition can help boards move more quickly to identify diverse board candidates. Trillium is member of the Thirty Percent Coalition and Baker serves on its board. Its mission is for women to hold 30 percent of board seats in all public companies. The Coalition’s work is on the demand side of board diversity — influencing corporations to strengthen their efforts to increase the number of women on their boards. Along with investors, the Coalition membership also includes public companies, private equity, professional service firms, national women’s organizations, and government officials working together for the first time to drive the pace of change, and demonstrate the importance of multi-stakeholder groups in gaining the momentum needed for significant impact. Engaging with these types of organization provides in-house counsel the opportunity to broaden their horizons, and expand their overall impact.